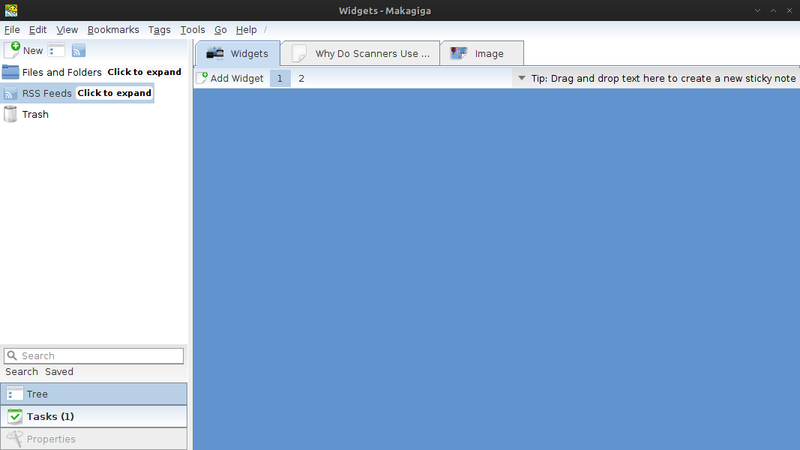 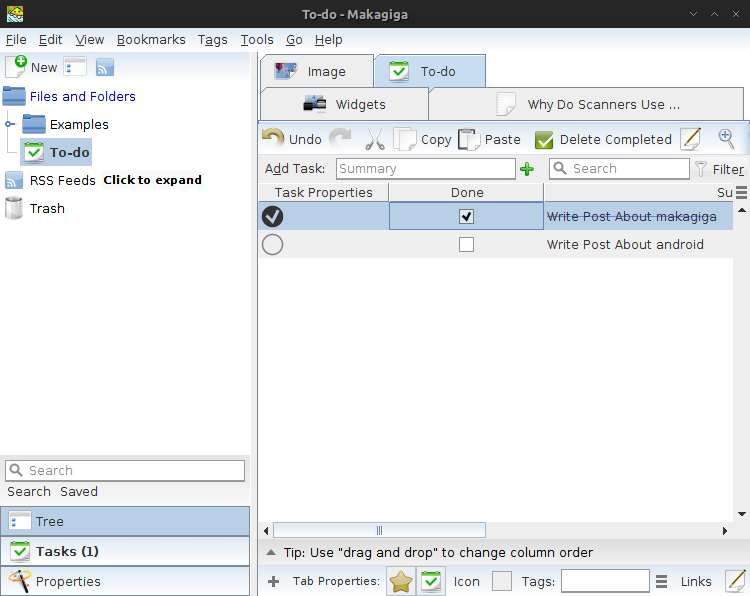 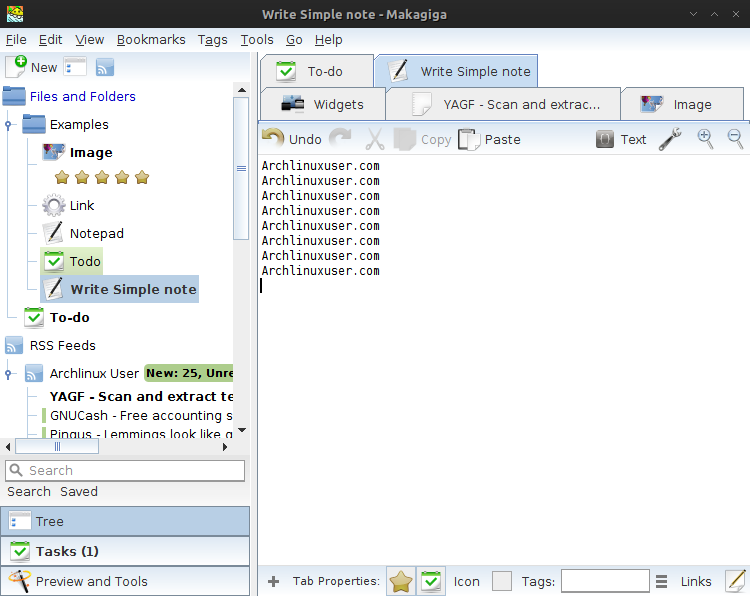 Makagiga is an open-source application, easy-to-use, portable application for doing a variety of tasks, such as todo list, text editing, or RSS reading. 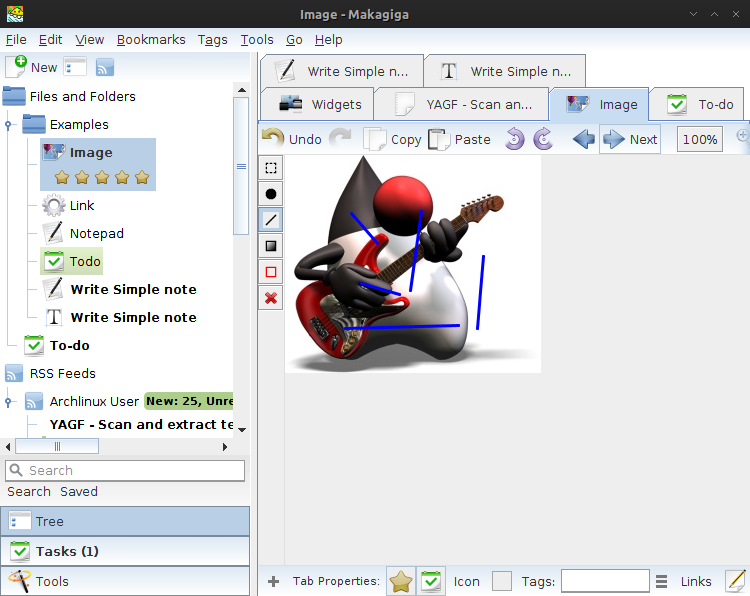 Makagiga have plugins that used to implement its various capabilities. 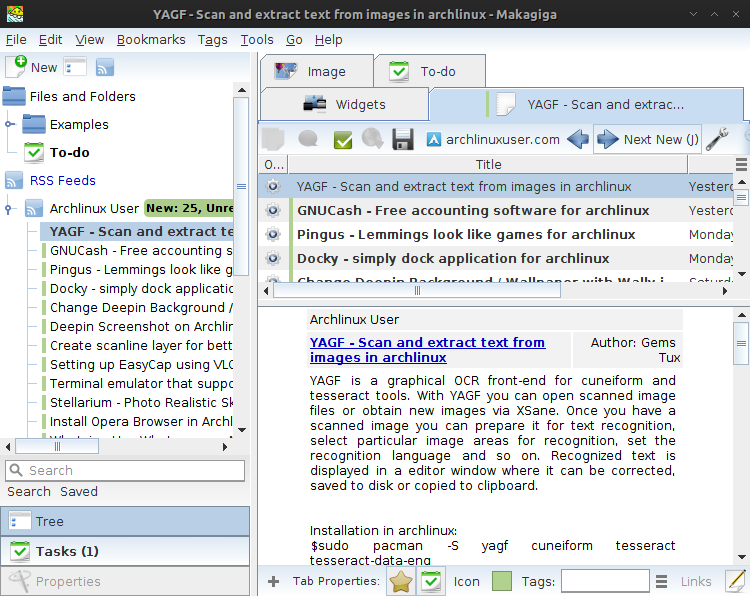 Here's some snapshot of makagiga features.